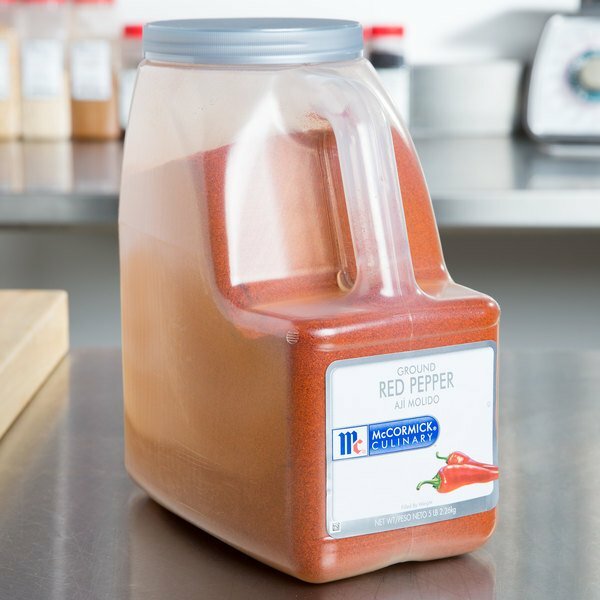 An essential spice for any kitchen, McCormick ground red pepper adds a hot, spicy flavor to a variety of popular menu items. Derived from the same species of pepper as the cayenne pepper, ground red pepper comes from the dried pods within the pepper. Use ground red pepper to spice up your sauces as it dissolves easier than crushed red pepper and releases its flavor faster. It serves as a delectable counterpart to creamy dishes and curries. You can even sprinkle it on omelets or in zesty Italian dressings! Note that a small amount of red pepper will go a long way. McCormick is a name you can trust to deliver high quality spices every time. Compared to bulk bags, this 5 lb. container provides a good supply of product and is easily accessible for your cooking and seasoning needs. Use McCormick to create and enhance masterful flavors in all your best dishes. 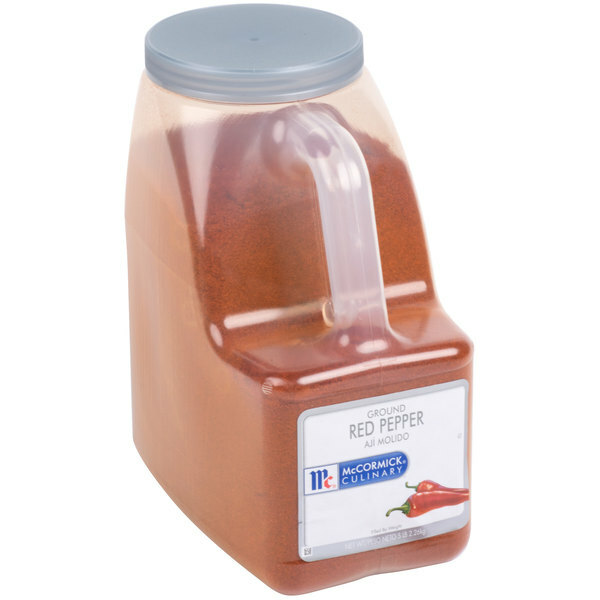 Overall User Rating: McCormick Ground Red Pepper - 5 lb. The McCormick ground red pepper is warm and aromatic. A nice seasoning for making our soups. The pepper is bold and well sealed for optimal freshness. This McCormick ground red pepper adds such great flavor to so many dishes. I love putting it on meats and even vegetables. Will definitely purchase again. The ground red pepper is spicy and delicious. A great addition to our spicy barbecue sauce and really bold flavor. The spice is a really nice quality and comes well sealed and packaged. The McCormick ground red pepper is top notch. The spice is bold and flavorful and the pepper is great quality. The red pepper goes great in my dry rub.